These Terms will apply to any contract between us for the sale of Products to you (“Contract”). Please read these Terms carefully and make sure that you understand them, before ordering any Products from our site. Please note that before placing an order you will be asked to agree to these Terms. If you refuse to accept these Terms, you will not be able to order any Products from our site. We recommend that you print a copy for your records. We may amend these Terms from time to time as set out in clause 7. Every time you wish to order Products, please check these Terms to ensure you understand the terms which will apply at that time. These Terms were most recently updated on 15th May 2015. 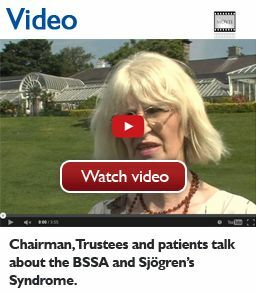 1.1 www.bssa.uk.net is a site operated by British Sjögren's Syndrome Association ("We"). We are charitable company limited by guarantee registered in England and Wales under company number 04771837 and charity number 1101571 and have our registered office at PO Box 15040, Birmingham, West Midlands B31 9DP. (a) To cancel a Contract in accordance with your legal right to do so as set out in clause 8, you just need to let us know that you have decided to cancel. The easiest way to do this is to complete the cancellation form [INSERT LINK TO FORM] on our website. If you use this method we will e-mail you to confirm we have received your cancellation. You can also e-mail us at office@bssa.uk.net or contact us by telephone on 0121 478 0222or by post to the address set out above. If you are emailing us or writing to us please include details of your order to help us to identify it. If you send us your cancellation notice by e-mail or by post, then your cancellation is effective from the date you send us the e-mail or post the letter to us. (b) If you wish to contact us for any other reason, including because you have any complaints, you can contact us by telephoning us at 0121 478 0222 or by e-mailing us at office@bssa.uk.net. 5.1 You may only purchase Products from our site if you are an individual and are at least 16 years old. 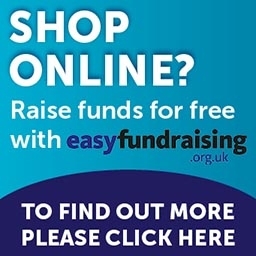 5.2 You may not purchase any Products from our site if you are a Business. 6.2 After you place an order, you will receive an automated e-mail from Paypal acknowledging that your order has been received. However, please note that this does not mean that your order has been accepted. Our acceptance of your order will take place as described in clause 6.3. 6.3 Our acceptance of your order will take place (and the Contract between us will only be formed) when the Products (or in the case of multiple products being sent separately, the first of those Products) are dispatched to you. 8.1 If you are a consumer, you have a legal right to cancel a Contract during the period set out below in clause 8.2. This means that during the relevant period if you change your mind or decide for any other reason that you do not want to receive or keep a Product, you can notify us of your decision to cancel the Contract and receive a refund. Your Contract is for a single Product or for multiple Products which are delivered together. The end date is the end of 14 days after the day on which you receive the Product(s). Example: if we dispatch the Products on 1 January and you receive the Product on 10 January you may cancel at any time between 1 January and the end of the day on 24 January. Example: if we dispatch the Products on 1 January and you receive the first of your separate Products on 10 January and the last separate Product on 15 January you may cancel in respect of any or all of the separate Products at any time between 1 January and the end of the day on 29 January. 8.3 To cancel a Contract, you just need to let us know that you have decided to cancel. The easiest way to do this is to complete the cancellation form [INSERT LINK TO FORM] on our website. If you use this method we will e-mail you to confirm we have received your cancellation. You can also e-mail us at office@bssa.uk.net or contact us by telephone on 0121 478 0222 or by post to the address stated above. If you are e-mailing us or writing to us please include details of your order to help us to identify it. If you send us your cancellation notice by e-mail or by post, then your cancellation is effective from the date you send us the e-mail or post the letter to us. For example, you will have given us notice in time as long as you get your letter into the last post on the last day of the cancellation period or e-mail us before midnight on that day. 8.6 As all payments are processed by Paypal, if a refund is due to you, we will provide the refund by crediting the funds back to our Paypal account in order for Paypal to credit the funds back to your Paypal account or to the debit / credit card that you used to purchase the Product(s). (a) then you must return it to us without undue delay and in any event not later than 14 days after the day on which you let us know that you wish to cancel the Contract. You can send it back to us at PO Box 15040, Birmingham, West Midlands B31 9DP. (b) unless the Product is faulty or not as described (in this case, see clause 8.5), you will be responsible for the cost of returning the Products to us. 9.1 We will aim to deliver the Products within 14 working days after the date your order is accepted by us. Occasionally our delivery to you may be affected by an act or event beyond our reasonable control. See clause 15 for our responsibilities when this happens. 9.3 You own the Products once they have been delivered to you and we have received payment in full, including all applicable delivery charges. 9.5 If you do not wish to cancel your order straight away, or do not have the right to do so under clause 9.5, you can give us a new deadline for delivery, which must be reasonable, and you can cancel your Order if we do not meet the new deadline. 9.7, you can do so for just some of the Products or all of them, unless splitting them up would significantly reduce their value. If the Products have been delivered to you, you will have to return them to us or allow us to collect them, and we will pay the costs of this. After you cancel your Order we will refund any sums you have paid to us for the cancelled Products and their delivery. 10.1 We deliver Products via Royal Mail. We are therefore are only able to deliver to countries outside of the United Kingdom which Royal Mail deliver to. Please refer to the Royal Mail website for a list of countries and any restrictions on delivery. 10.2 If you order Products from our site for delivery to a country outside of the United Kingdom, your order may be subject to import duties and taxes which are applied when the delivery reaches that destination. Please note that we have no control over these charges and we cannot predict their amount. 11.5 It is always possible that, despite our reasonable efforts, some of the Products on our site may be incorrectly priced. If we discover an error in the price of the Products you have ordered we will contact you to inform you of this error and we will give you the option of continuing to purchase the Product at the correct price or cancelling your order. We will not process your order until we have your instructions. If we are unable to contact you using the contact details you provided during the order process, we will treat the order as cancelled and notify you in writing. Please note that if the pricing error is obvious and unmistakeable and could have reasonably been recognised by you as a mispricing, we do not have to provide the Products to you at the incorrect (lower) price. 12.1 Payment for Products is processed by Paypal, either via a Paypal account or by using Paypal’s Account Optional Service. Please refer to Paypal’s website and terms and conditions in respect of use of these services. When you transfer funds or purchase e-money from Paypal to pay for the Product(s), this is credited to our Paypal account. 13.2 We only supply the Products for domestic and private use. You agree not to use the Products for any commercial, business or resale purposes, and we have no liability to you for any loss of profit, loss of business, business interruption, or loss of business opportunity. 14.1 We will not be liable or responsible for any failure to perform, or delay in performance of, any of our obligations under a Contract that is caused by any act or event beyond our reasonable control. 15.1 You may only transfer your rights or your obligations under these Terms to another person if we agree in writing. 15.5 Please note that these Terms are governed by English law. This means a Contract for the purchase of Products through our site and any dispute or claim arising out of or in connection with it will be governed by English law. You and we both agree to that the courts of England and Wales will have non-exclusive jurisdiction. However, if you are a resident of Northern Ireland you may also bring proceedings in Northern Ireland, and if you are a resident of Scotland, you may also bring proceedings in Scotland.